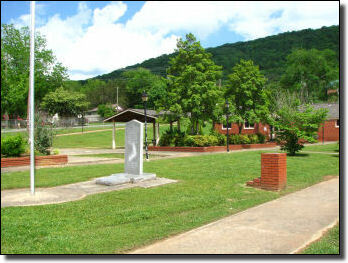 Fort Payne takes great pride in its beautiful parks and superb recreation facilities. On sunny afternoons and cool evenings our parks are teeming with families playing and people enjoying the walking trails. 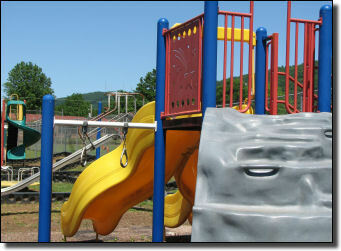 Squeals of delight can be heard around town as children enjoy the numerous playgrounds. From City Park, our oldest, to the Alabama Walking Park, our newest, there is something that will delight everyone. 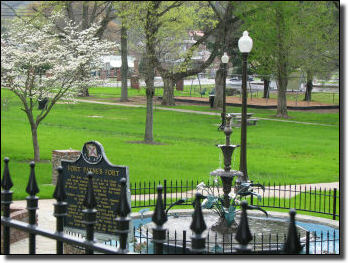 Newly refurbished, City Park is the oldest park in Fort Payne. It is located in downtown on the corner of Gault Avenue and 5th Street across from the Dekalb Theater. City Park is home to the newly inaugurated statues honoring the country music supergroup Alabama who call Fort Payne their home. It features newly installed swings, a beautiful gazebo, picnic shelter, picnic tables, restrooms, and majestic century old Ginko trees. Historic markers flank the outskirts of the park and provide insightful facts on Fort Payne’s past. City Park is the perfect setting for a picnic or a large family gathering. During Boom Days you will hear different musicians entertaining the crowds from the Gazebo and during December the park lights up and is host to our annual Christmas in the Park celebration. The newest jewel in the Fort Payne parks department is the Alabama Walking Park. It is located on 5th Street SW behind the Depot Museum. It has 2 brand new playgrounds, one for older kids and one for tots, to delight any child. Alabama Park also features a beautifully landscaped walking trail with a fitness station for the active adult. This park is great for the entire family, young and old, whether you are playing, walking, or relaxing on one of the numerous benches throughout the park. 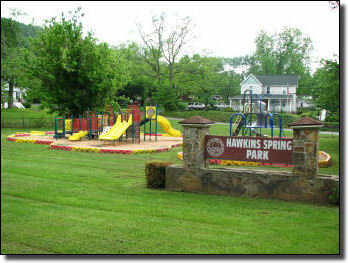 Hawkins Spring Park is located just off of Highway 35 at the base of scenic Lookout Mountain. It features a wonderful playground as well as picnic areas and a picnic shelter. A beautiful creek runs through the park and offers a quiet babbling backdrop for your next picnic. 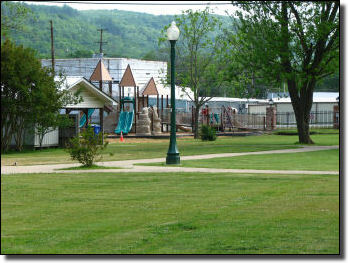 The Douglas Community Park in located in the Douglas community of Fort Payne on Godfrey Avenue South. The park features a baseball/softball field, playground equipment, and an outdoor basketball court.